In December of 2008 Israel launched a devastating attack on Gaza. A month of bullets, bombs, rockets, white phosphorus, tanks and bulldozers left 1400, mostly civilians, dead and this section of Occupied Palestine in rubble. 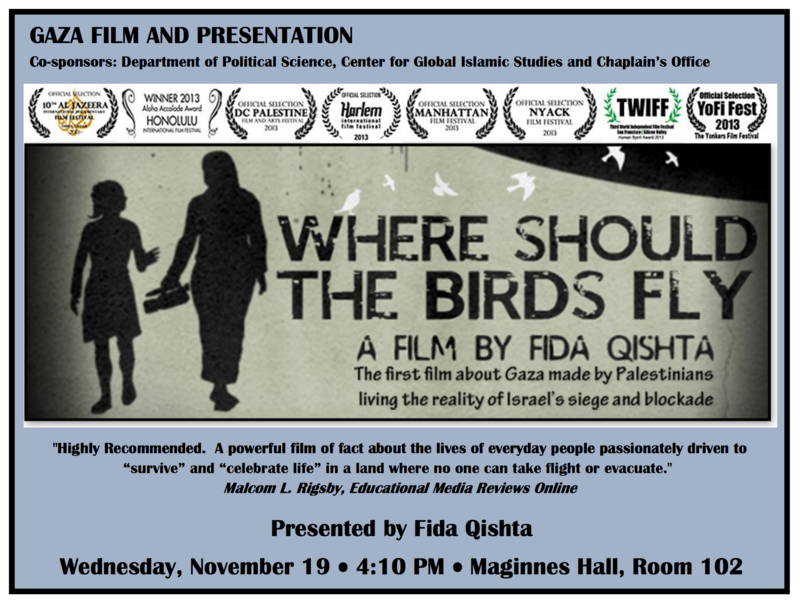 Where Should the Birds Fly is a compelling and moving Palestinian film based on the story of two remarkable young women, the future of Palestine, who personify the struggle to maintain humanity, humor, hope, and to find some degree of normality in the brutal abnormality that has been imposed on them and Palestinians. This is the first film documenting the impact of the attacks made by Palestinians themselves. journalism has appeared in the UK Guardian, the Observer, and the International Herald Tribune. Fida is also a qualified teacher and, in 2004, co-founded with her sister Faten, The Lifemakers Center, an after school and tutoring program which serves several hundred children in Rafah.